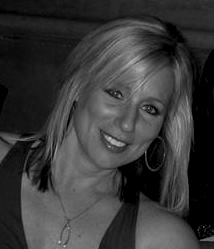 Tracy's creativity is fueled by a lifelong passion for art and design. At a young age, she began exploring the boundaries of art with free-hand drawing and painting. In 1992, she decided to take her love for art and design to the next level by enrolling in a graphic design program at Hennepin Technical College in Minnesota. Del Mar Plaza, Ecolab, U.S. Bank and Walmart, to name a few. She developed unique visual design campaigns that proved to be nothing less than dynamic. help clients all over the world bring their brand and ideas to life. She enjoys working with all types of industries, from beauty to real estate or any individual that is passionate about what they do and want to convey that through design. Please contact Tracy at 619/517-4457 or tracy@tracyhd.com. She would LOVE to help you create the project of your dreams! "There are three responses to a piece of design — yes, no, and WOW!